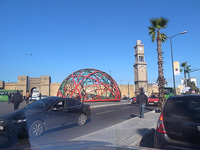 Enjoy the hightlights of the busiest city in Morocco! 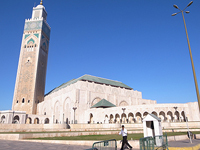 Hassan II Mosque is a huge building with beautiful tiles. Walk on the beach along the Atlantic Ocean! Guided tour is available inside the mosque. Marjone, a popular supermarket in Morocco is a good place to buy some small gifts.